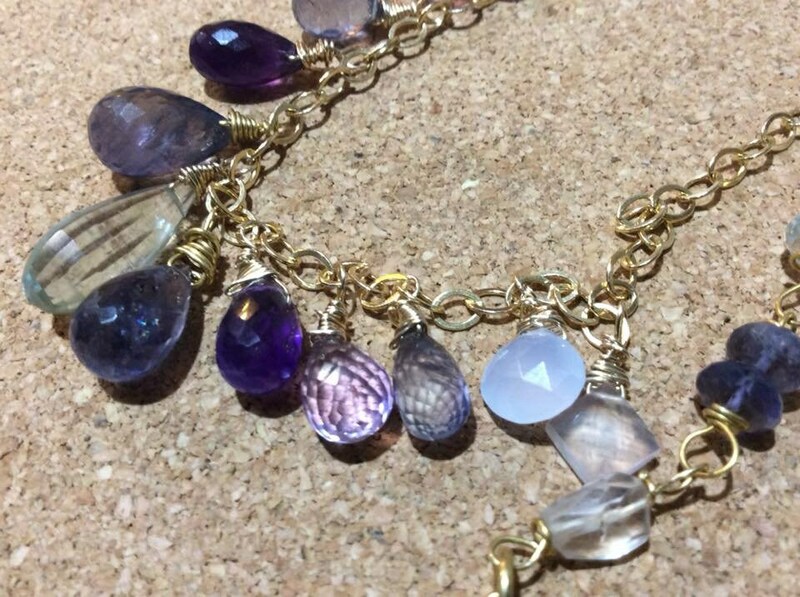 13x faceted gemstones ;hanging at the front and 10 at the back. 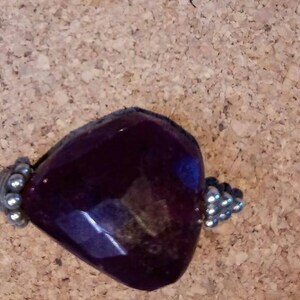 the 2 chalcedony are milky with a pinky tinge, to compliment the morganites and the prassiolte amethysts. 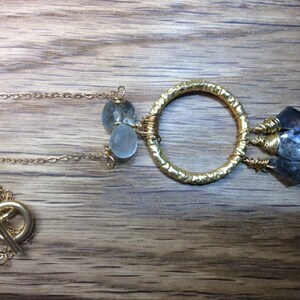 there is 1 large x prasiolite Amethyst at the front and 2 rondelles at the back, in a clear light green. 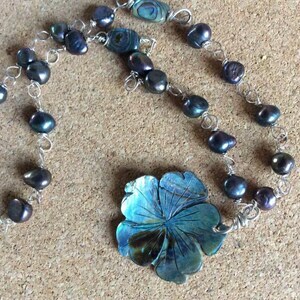 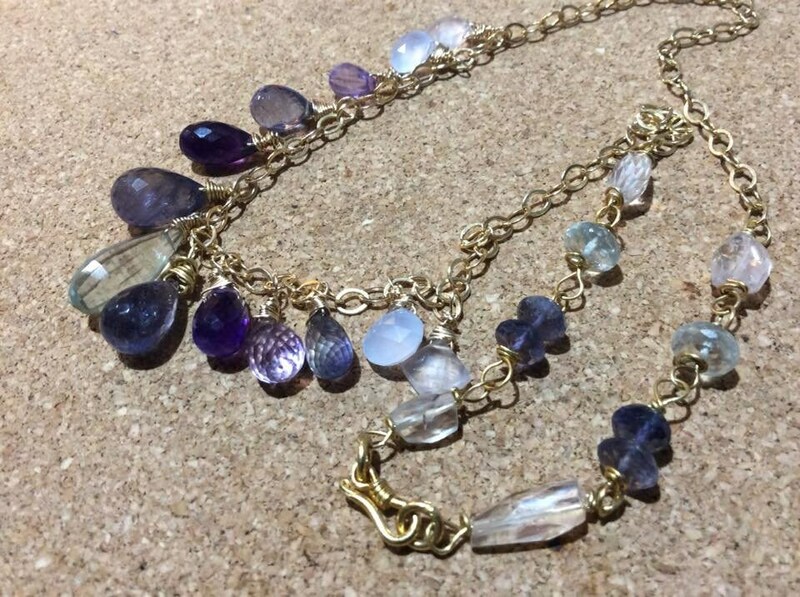 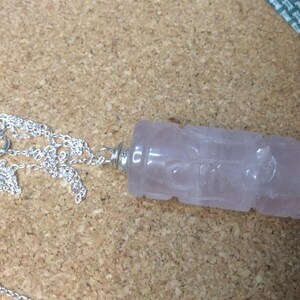 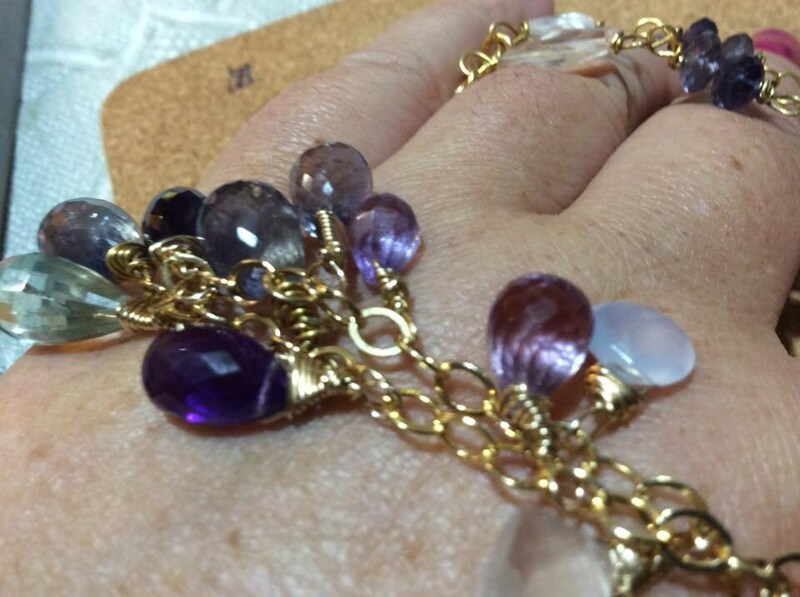 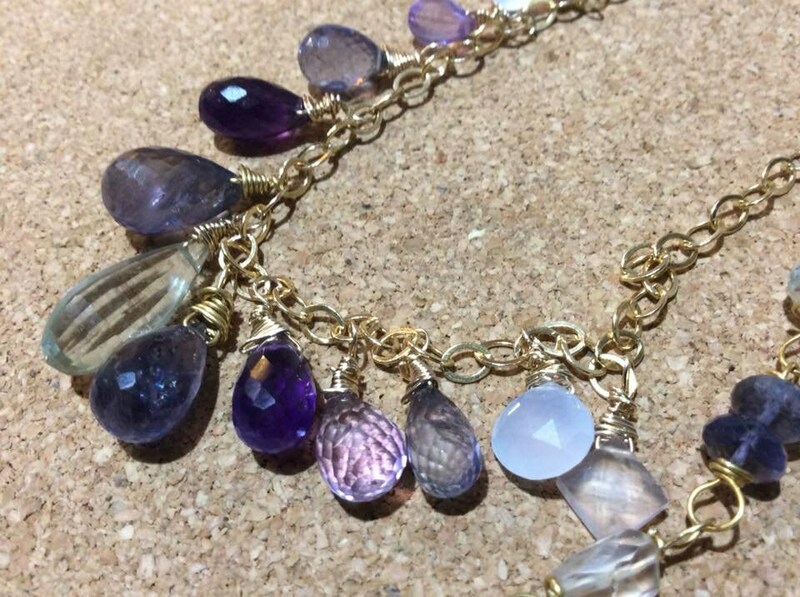 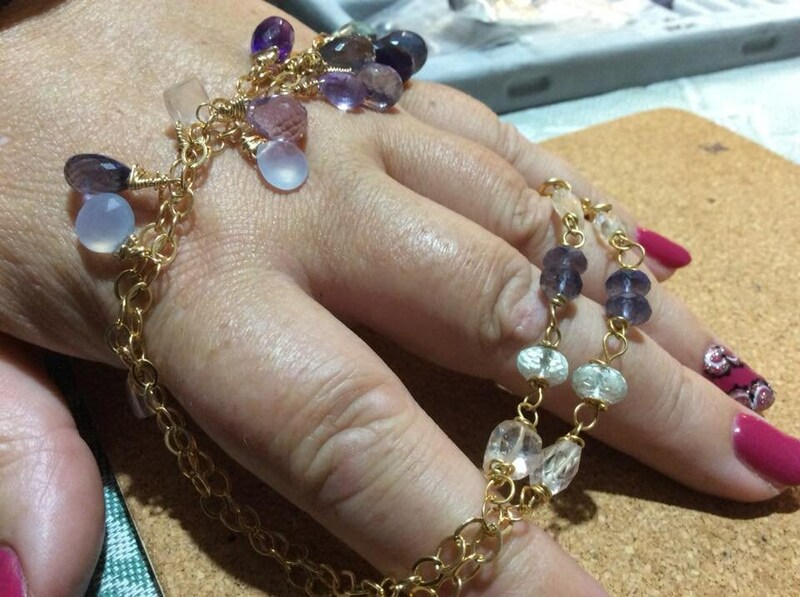 these gemstones are fixed to the chain at the front in a shimmering row.